Welcome to Trampoline Jumpers, the premier supplier of the finest trampolines for over 25 years. We take pride in our products and ensure that every top rated trampoline that leaves our factory leaves fully tested and inspected to the highest standard. After selling trampolines for so many years, we understand that safety and durability should be our #1 focus. We've supplied thousands of trampolines to many gymnasiums and backyards throughout the world, so you can rest assure that our quality is second to none. Our trampolines are engineered to the highest standard, with the best specs, while maintaining affordable prices. When buying, always consider the thickest frames and the best steel gauge possible. 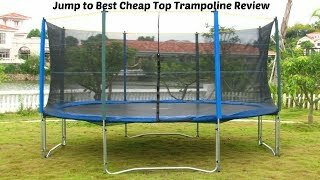 If you're looking for the SAFEST, top rated and finest trampoline to have in your backyard for your family, you've come to the right place. We back our confidence in our warranty. Most companies have only a 1-3 year warranty on their trampolines, while our trampoline frames come with a lifetime warranty.